group artist mini-residency in Paris! Have you ever dreamed of having a studio in Paris? The city known as a major culture and art center is calling your name! Our idea is that we will spend half of the time soaking in all that Paris has to offer an artist, all the inspiration, museums, and sites. The other will be spent in the studio, making art together. With daily guided prompts, conversation and feedback, it’s a chance to spend time with other artists, doing things we love to do and giving your art a boost. Here’s a opportunity to collaborate, start something new, experiment, or focus on a project in an incredible studio space that will be home for our time there. 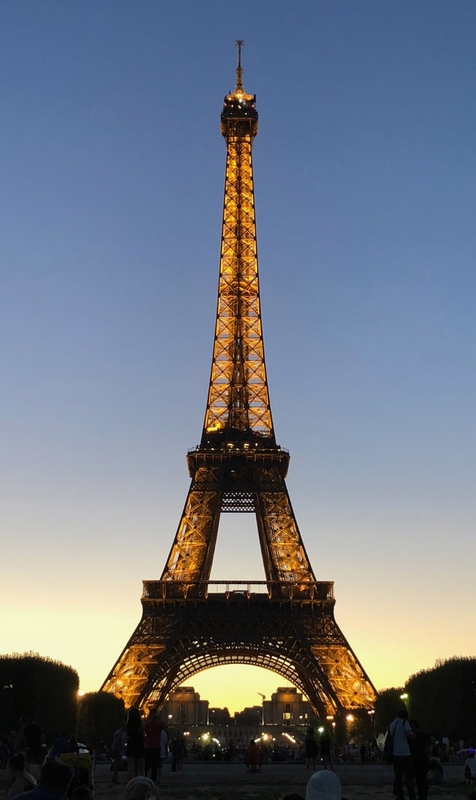 Often referred to as The City of Light (La Ville Lumière), both because of its leading role during the Age of Enlightenment, and more literally because Paris was one of the first European cities to adopt gas street lighting. Other nicknames that Paris has acquired include City of Love and City of Art. A mecca for artists, with more than 70 museums, there’s one for any area of interest. This is an opportunity to visit some famous masterpieces such as works from Van Gogh, Cezanne and other Impressionists in the Museum D’Orsey, see the amazing Egyptian, Greek and Roman Antiquities collections in the Louvre, or travel the pipes of the Centre Pompidou to see contemporary art of the 20th and 21st centuries. There’s nothing like being able to see the brushstrokes of paint in person and experience the scale of sculpture in space. Our home for the trip is in a neighborhood where there are many artists lofts. It is a beautiful oasis in the midst of an urban area and close to the Metro. Very spacious with lots of great light, we will enjoy creating, relaxing and sharing in an inclusive atmosphere. Note: this residency is intended for those who already have a consistent studio practice. 5+ studio days to accelerate your art! days of living and breathing art non-stop! lots of walking! Be sure you are ready to walk several miles a day. Cost: $4200, limited to 10 people. Price based on double occupancy. No single supplement available. A non-refundable $1900 deposit is due upon registration. Final payments due May 15. There will be no refunds due to the planning and logistics involved. Payments can be made by check, credit card, or PayPal. Fill out registration form, read terms and waiver, sign and place deposit to secure a spot. Registration will not be complete until signed paperwork and deposit is received.